In this article I tell you my experience sending money to Russia using different methods: bank transfer, Western Union, PayPal and TransferWise. You will see how the price differences between one method or another are very noticeable. On several occasions I have had to send small amounts of money to relatives to Russia or Georgia. Sending money abroad always means paying commissions, and if you do it to countries of the former USSR (Russia, Ukraine, Georgia, Armenia, Azerbaijan, etc.) these commissions are even higher. Traditional methods: such as WesternUnion or MoneyGram. Online payment services: such as PayPal, WebMoney or Yandex Money. 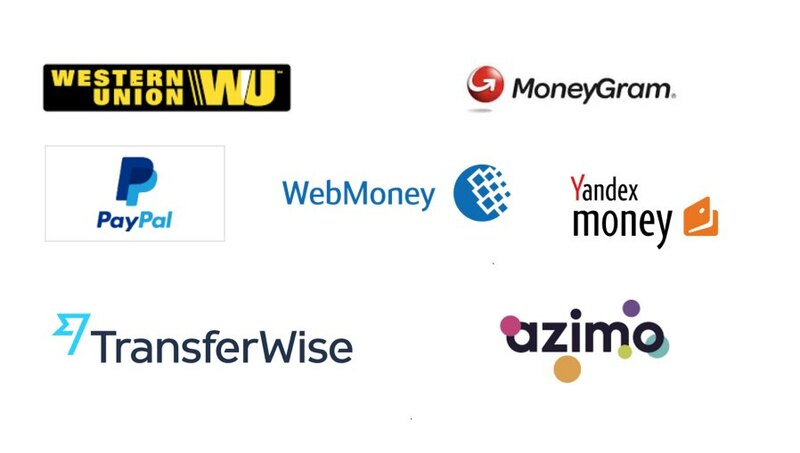 P2P money transfer services: like TransferWise. For comparative purposes, all calculations were made on February 16, 2017. The first thing I have to say is that for small amounts of money, a bank wire transfer is the worst method, since the fees charged by the banks (from both the issuing bank and the receiving bank in Russia) are usually very high. For this reason, I have stopped using bank transfers for sending money to Russia for many years, since these are very expensive. WesterUnion or MoneyGram are specialized companies in sending money abroad. They have an extensive network of offices, which I have used on different occasions, though they are now offering the money transfer service through their Internet website. 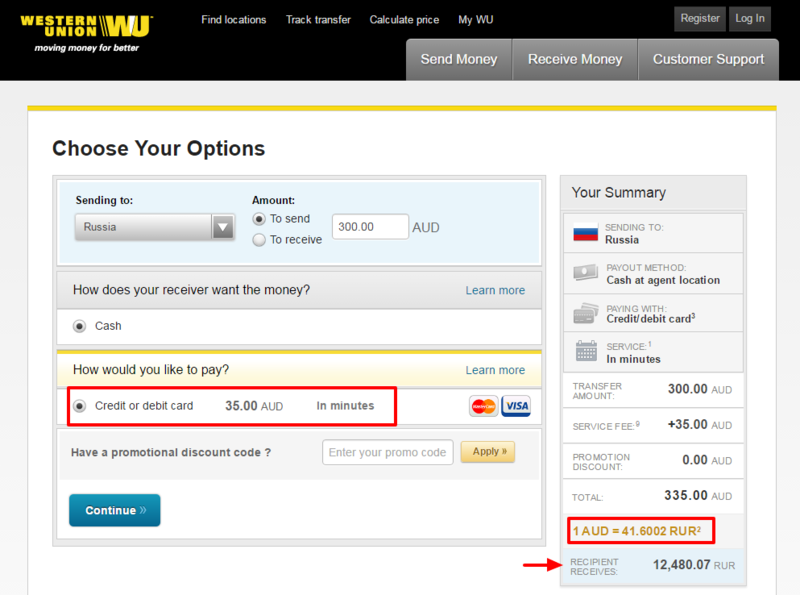 Well, sending 300 AUD to Russia through Western Union has a high comission (35 AUD), but the main problem is that it applies a very unfavorable exchange rate. This means that if you send 300 AUD to Russia today, you would be charged an exchange rate of 41.6002 RUR/AUD, so that the recipient in Russia will receive 12,480.07 rubles. PayPal is a payment method already known by virtually anyone, which allows you to buy in many websites, as well as transferring money between users by email. Other similar methods implemented in Russia are WebMoney and Yandex Money. Firstly, when it comes to international personal money transactions to Russia, the commission is not free, as PayPal charges a fee of 1.5% if it’s being sent from a bank account, and 4.9% if it’s sent from a credit card, whether debit or credit. In the case of commercial transactions, commissions are even higher. You can consult the commissions at this link. 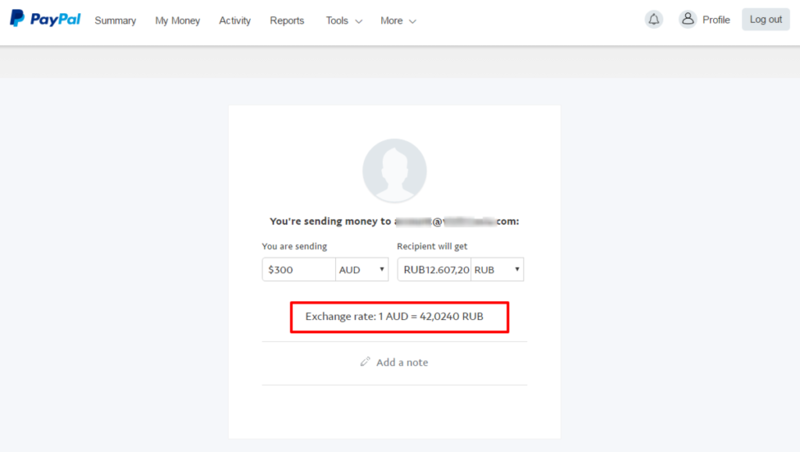 Secondly, when you send Australian dollars to a recipient in Russia, Paypal applies a rather unfavorable exchange rate. Today it applies an exchange rate of 42,0240 RUR/AUD. Thus, if you send 300 AUD to a relative or friend of Russia, the commission would be 4.5 AUD (15 AUD if you use your bank card), but your friend or Russian family member would receive in its Paypal account a total of 12,607.20 rubles. Also, keep in mind that if the recipient wants to transfer this money to its Russian bank account, it would have to wait a couple of days to have the money available. Recently, several financial peer to peer (P2P) online services have emerged, offering money transfers with low commissions and that apply the actual exchange rate of the moment. The most popular of all is TransferWise (from the creators of Skype). You send 300 AUD and the recipient in Russia receives 12,480.07 rubles. In addition, you have to pay a commission of 35 AUD. You send 300 AUD, and the recipient in Russia receives 12,607.20 rubles. In addition, you have to pay a commission that varies between 4.5 AUD and 15 AUD. 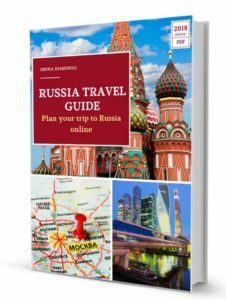 You send 300 AUD and the recipient in Russia receives 13,008.40 rubles (with the commission of 4,43 AUD already discounted of this amount in rubles). All calculations were made on February 16, 2017. Have you sent money to Russia or to countries of the former USSR? You can tell me your experience below.